The financial boost has enabled the club to invest in brand new pitch covers. Mike Gatting, ECB Cricket Partnership Ambassador, said: “We’re passionate about creating a sustainable future for cricket clubs and their communities across England and Wales. 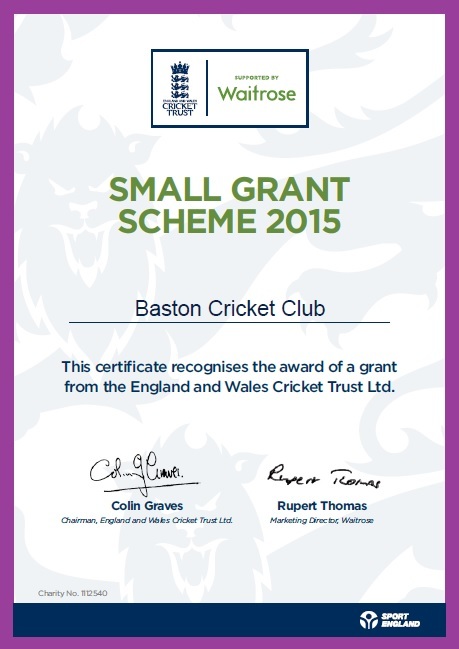 Small grants to clubs like Baston make a huge difference to their long term future”. Charles Johnston, Director of Property at Sport England, said: “We’re pleased to support the ECB in its Small Grants Scheme. We know that people have a better experience of sport when they have good places to play and get changed. With this scheme helping clubs improve facilities and equipment, it will enable clubs to provide more regular opportunities for practice, matches and social activities, benefitting the local community”.